To make a booking contact us at info@balbrigganrfc.com. These two, state-of the-art, floodlit, astro turf pitches have been built to the highest standard and the quality of the playing surface is unrivalled in the area. 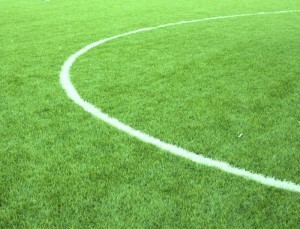 These pitches have been installed with a 30mm shockpad, which greatly reduces the risk of injury. The fact that they are IRB approved enforces the fact that they are of such a high standard. The high quality synthetic grass ensures an even bounce every time, and the pitch is completely enclosed with a netting over the top to ensure there is no more chasing stray footballs. One court is €50 per hour. Discounts are available for block booking. Book a pitch for Friday night and head over to the Balrothery Inn who will provide complementary finger food on arrival. 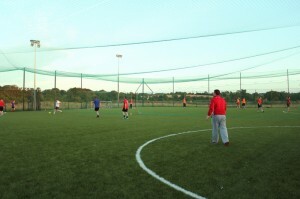 Balbriggan Rugby Club offers a substantial car park along with changing rooms and showering facilities. From The Bracken Court Hotel head south on Dublin Street towards Balrothery, passing the Church and Balbriggan Golf course. Approx 700m after Balbriggan Golf Course you will come to a pedestrian crossing (you will see the Balrothery Inn on your left). Turn right immediately after this crossing. 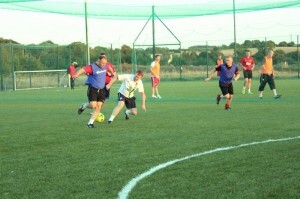 Continue down this road for approx 200m and Balbriggan Rugby Club is on your left.